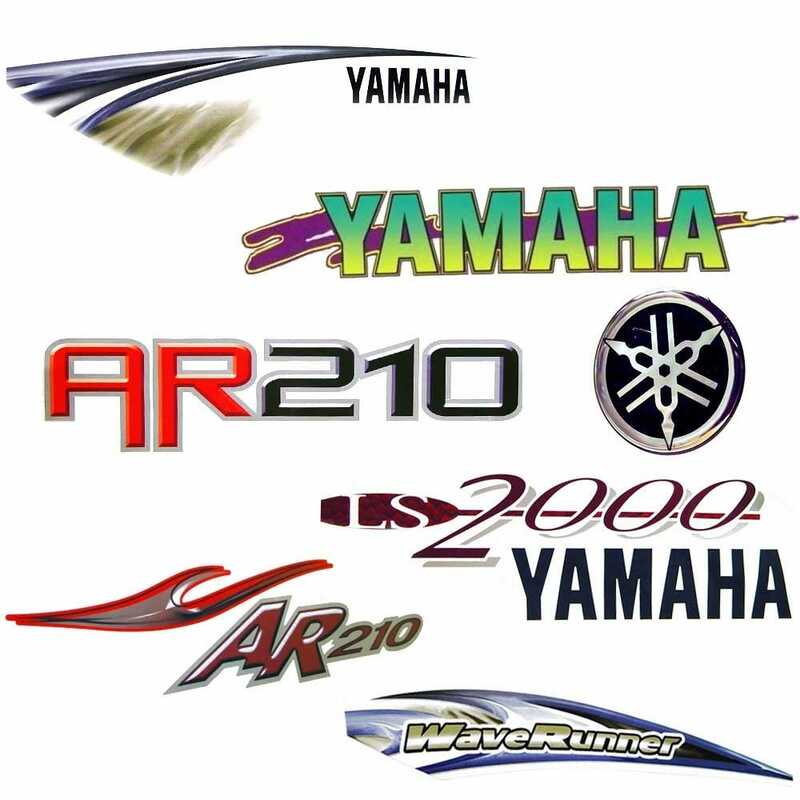 Revitilize your boat with our collection of Yamaha boat decals! These marine grade vinyl decals are the same boat decal stickers used by Yamaha Motors, not the cheap quality replica decals sold by our competitors! Our extensive collection of Yamaha OEM boat decal stickers includes Yamaha jet boat graphic decals, Yamaha boat name decals, Yamaha boat lettering decals, Yamaha pattern graphic boat decal stickers, Yamaha logo decal stickers, Yamaha emblem decal stickers, Yamaha 270 HP boat decal stickers, Yamaha AR 230 boat decal stickers, Yamaha Twin Engine boat lettering decals, Yamaha SR 230 boat decal stickers, Yamaha SX 210 boat lettering decals, Yamaha High Output boat lettering decals and Yamaha warning decal stickers. We have Yamaha boat decals in many sizes, from 1 1/2" diameter boat decal stickers to 119" long boat graphic decals, and many colors, from gold and red boat logo decal stickers to multi colored graphic boat decals, reflective surface graphic boat decal stickers and more! Our discount marine store lists hundreds of new marine supplies, marine boat parts and marine accessories every month. Find quality and savings with our large inventory of boat parts and marine accessories.